Did you know that I prepare meals for clients on a weekly basis and either deliver them or you can pick up your meals at my home. This week was especially colorful given all the local produce available this time of year. I love cooking for my people especially my style; healthy, clean food. I can provide vegetarian, paleo, Whole30 and lean protein meals. 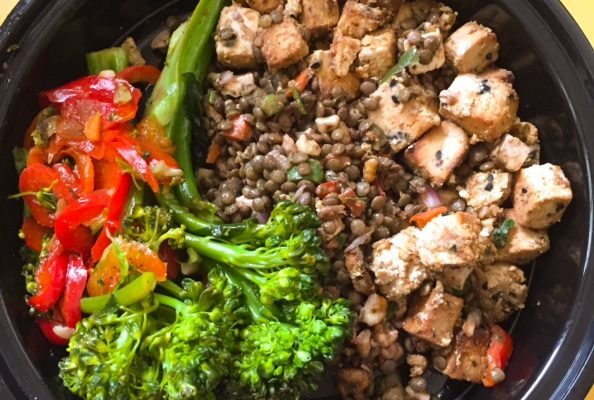 The one shown is a roasted herbed tofu with sautéed sesame broccoli, lentil walnut salad and julienne red peppers. If you’re interested, let me know and we can talk about your needs.